""Transcendent beauty rises above physical limitations and endures the passage of time."" --Hema Sundaram, M.D. Have you ever considered why some cosmetic procedures carry no stigma at all, but procedures that relate to aging do? If it is not "wrong" for a 14-year-old to straighten her teeth orthodontically, why is it "wrong" for a 40-year-old to have laser surgery to remove her wrinkles? 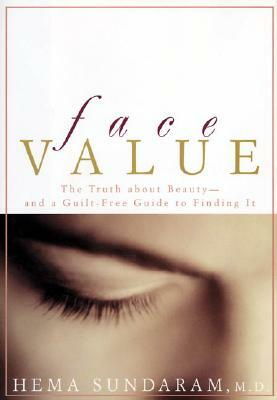 In "Face Value," Hema Sundaram, M.D. shows you how to make your own choices when it comes to beauty. She examines our culture's conflicted messages about beauty, from ancient myths to modern tabloids, and she reveals how women get caught in false dichotomies such as "natural versus artificial beauty" and "inner versus outer beauty." Along the way, you'll read the inspiring real-life stories of Dr. Sundaram's patients, women who've experienced the liberation of finding their true "Face Value."